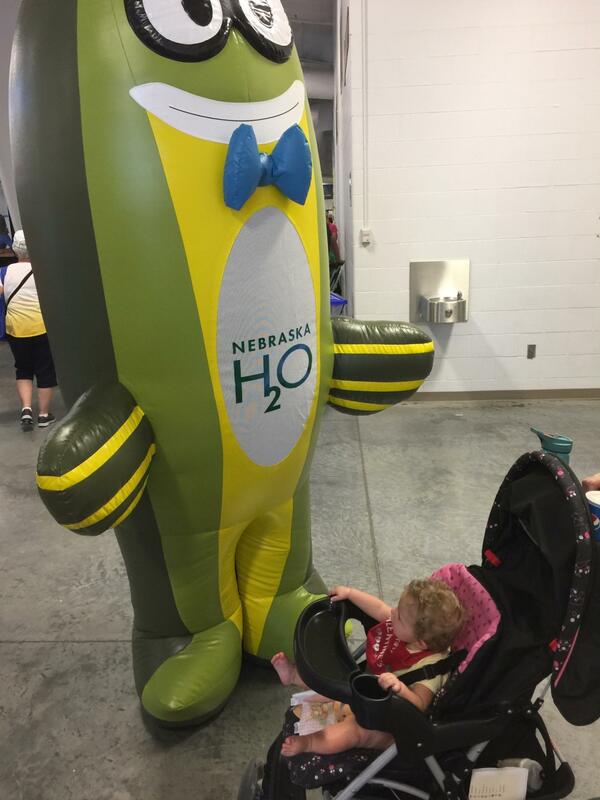 Here you will find the latest storm water information regarding our community. Thank you for visiting and please check back often or subscribe to our feed via email using the form below. 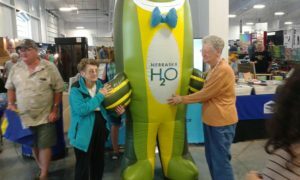 All Hastings News Please enter your email below to receive updates from Hastings Stormwater Program. 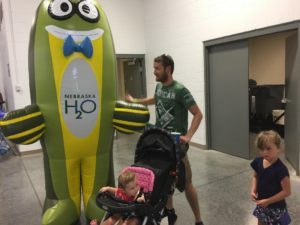 Owlie the Weather Wise Owl having fun with his friends at the Nebraska State Fair (2018). 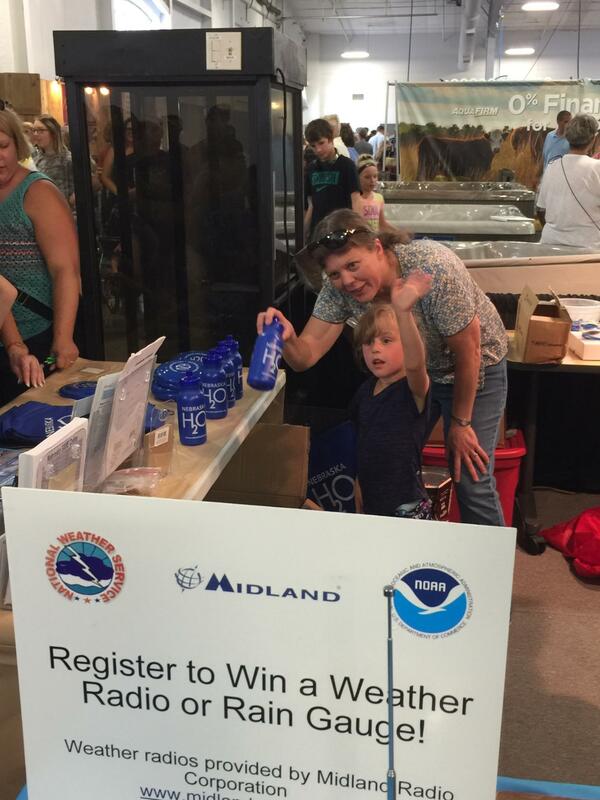 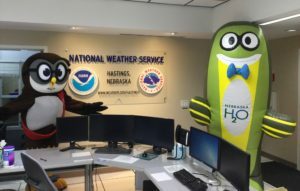 Walter Walleye and Owlie Skywarn (the Weather Wise Owl) visit with the National Weather Service in Hastings. 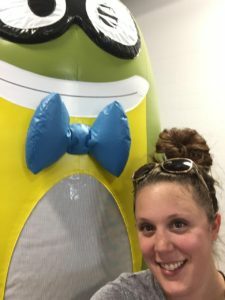 Look for them at this year’s State Fair (2018)! Walter and friends having fun at the Nebraska State Fair (2017)! 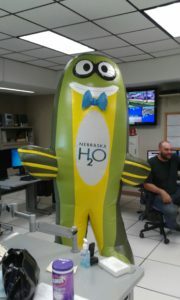 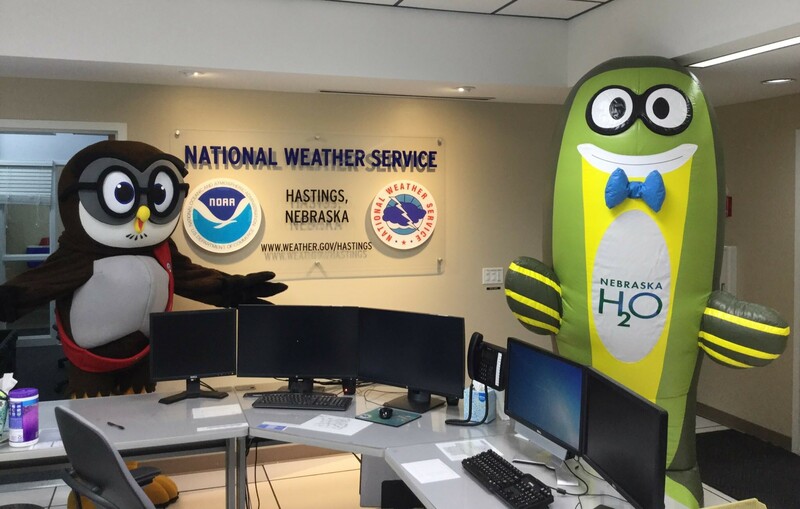 Walter Walleye (Wally) pays a visit to the National Weather Service office in Hastings to learn more about weather and its impact on storm water. 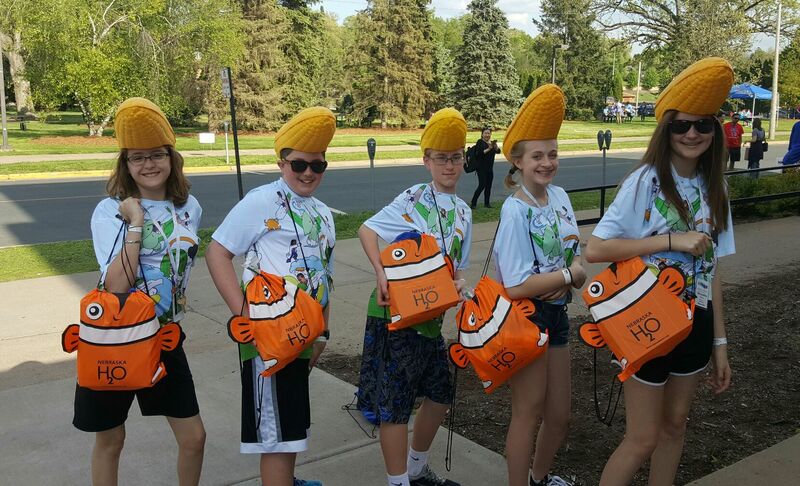 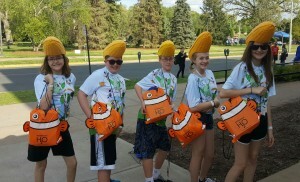 After winning their 11th consecutive Nebraska championship, Bellevue Mission Middle School team is heading to the National Science Olympiad Tournament in Wisconsin excited to share their Nebraska H2o bags with students from across the country.